Granbury, the county seat of Hood County, Texas, is conveniently located only about thirty-five miles southwest of historic Fort Worth. It boasts a colorful historic past and serves as a model for the National Trust for Historic Preservation's Main Street Program. When the town was founded in 1860, it only consisted of a square and a log cabin courthouse. Gradually other buildings were erected around the square and many of these are now recognized as registered historic landmarks. The first two Hood County courthouses burned down and were replaced in 1890 by one constructed of Brazos Limestone. It stands as the focal point of the historic square that was the first in Texas to be placed on the National Registry of Historic Places. The town was named for the brave Confederate General Hiram B. Granbury who led his troops from the area into battle during the Civil War. Davy Crockett's wife Elizabeth Crockett made her home in Hood County following the Texas Revolution against Mexico. More historical data can be found at the city of Granbury website. Granbury is well-known for its tourist activities and events during the summer months. Lake Granbury is a long narrow lake that flows through the entire town and offers residents and visitors exceptional fishing and water sports. 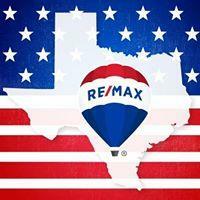 Many Granbury TX real estate properties are located on and along Lake Granbury. Some of the finest Granbury homes on the water feature individual docks and boat storage facilities. Outdoor enthusiasts enjoy Moments in Time Hike and Bike Trails. Granbury City Park and Hewlett Park offer picnic facilities and numerous sports activities. More information is available on the parks and recreation section of the city website. Contact our Granbury realty office for an exclusive showing of Granbury homes for sale. Granbury home buyers will be pleased to find quality homes at very reasonable prices in an area with so many activities and events. Several private and public golf courses including Harbor Lakes Golf Course add to the appeal of Granbury real estate, especially for sports enthusiasts. History buffs will enjoy local museums and Dinosaur Valley State Park. Prospective buyers searching for homes for sale in Granbury will find that real estate in Granbury offers small town living with easy access to the DFW Metroplex. Granbury TX homes provide country living for those seeking a more laid-back lifestyle in a community with friendly people and a wide variety of activities. There are many things to see and do in Granbury! Residents and visitors enjoy several events throughout the year that offer unique entertainment and fun for all. Granbury real estate agents, residents and visitors enjoy the Candle Light Tour of Homes held in December that showcases some of the finest Granbury TX homes. Concerts with well-known entertainers are scheduled throughout the year. Information on concerts and upcoming events can be found on the Leisure and Sports Review. Granbury properties offer unique opportunities for prospective buyers who are looking for a quiet community to settle down and raise a family. The gated communities, waterfront homes and homes with small acreage also appeal to those who want to retire here and make Granbury their permanent home.